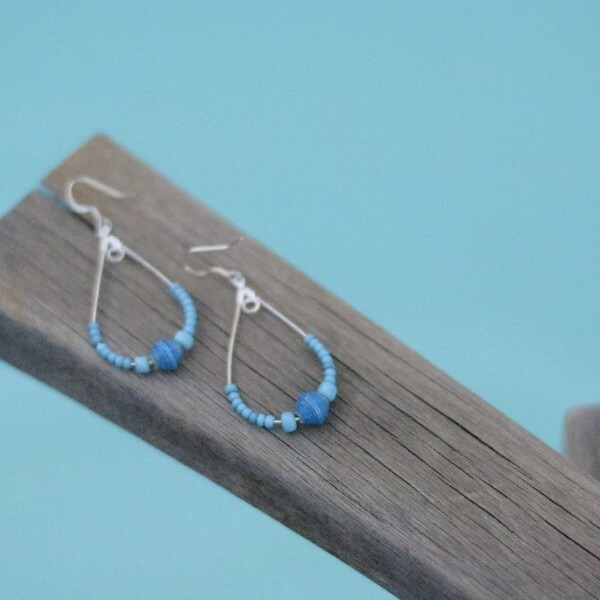 These delicate drop earrings are shaped like teardrops with mini handcrafted paper or cardboard beads accompanied by coordinating glass seed beads. 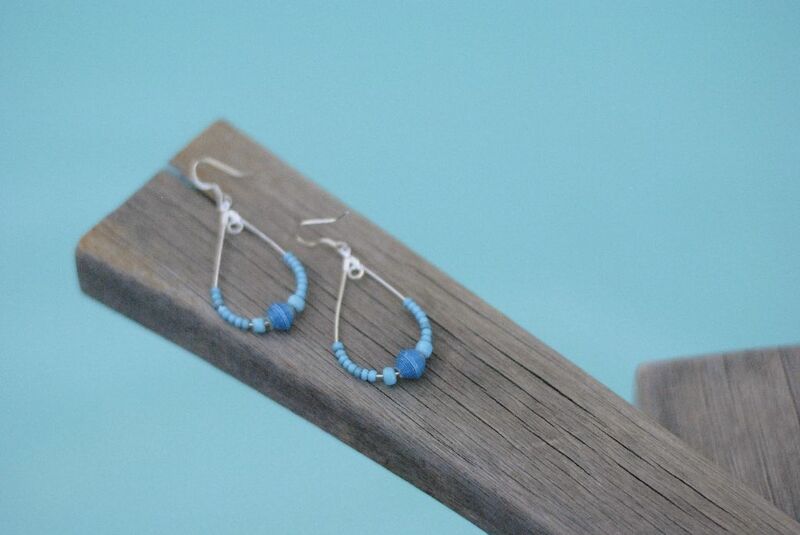 These delightful earrings are a dainty and fun addition to any outfit! Our colors are unique to each item and most often have multiple colors included.